MIDDLETOWN - Sen. Len Suzio (left) last month presented Liberty Bank President and CEO Chandler J. Howard (right) with an official state citation commending the bank on the launch of a tuition-free small business academy in Middletown to jump-start creation and growth of new small businesses. The Liberty Bank Academy for Small Business covers topics such as financial management, record-keeping, and risk management. 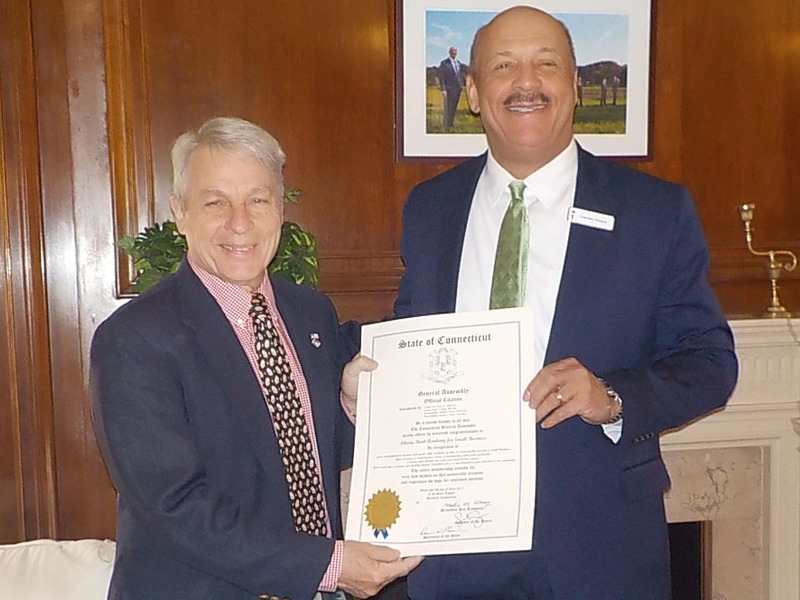 Suzio thanked Howard and Liberty Bank employees for their commitment to helping entrepreneurs thrive in Connecticut. Suzio represents Cheshire, Meriden, Middlefield, Middletown and Rockfall. He can be reached at 800-842-1421 and at Len.Suzio@cga.ct.gov. On the web: www.SenatorSuzio.com and www.liberty-bank.com .